The weather is getting cooler (at last! ), which means it’s time to start thinking about ways to stay cozy, comfortable and healthy over the next few chilly months. Today, I’m sharing six of my favorite cold weather comforts-affordable products designed to help you make the most of the fall and winter seasons. Like many of you, I light a LOT of candles when the weather turns colder; it’s one of my favorite cold weather comforts. The Zippo Mini Flex Neck Candle Lighter is comfortable, easy-to-use, and ideal for lighting candles, especially those with hard-to-reach wicks! Along with your favorite candle, this makes a great hostess gift or stocking stuffer. I especially love the slim design, AND the fact that it’s refillable with Zippo Premium Butane Fuel. 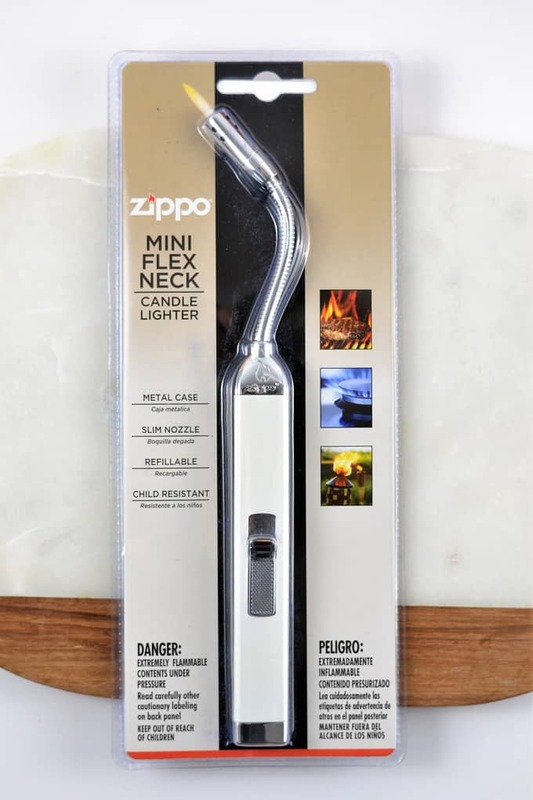 Buy the Zippo Mini Flex Neck Candle Lighter here. Chesapeake Bay Candle has long been a favorite of mine for long-lasting, well-designed candles. Their Mind & Body Collection continues to impress, with candles made with natural essential oils and created with a soy wax blend. In the cooler months, especially, mind and body wellness is at the top of my priority list. 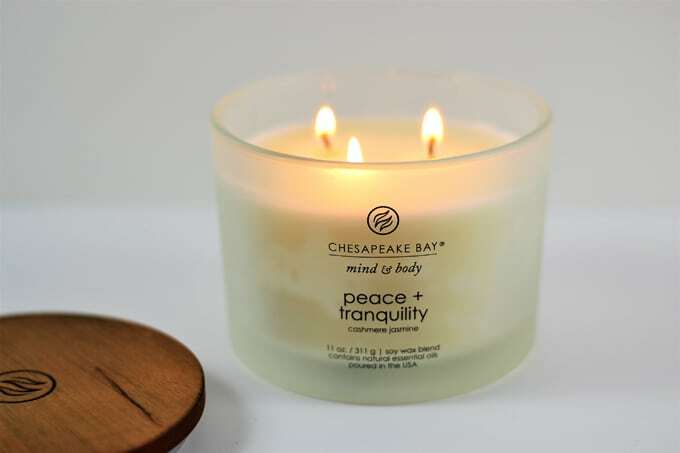 The Chesapeake Bay Candle: Mind & Body Collection helps me fulfill this goal, as well as providing lovely scents in a beautifully-designed package, especially compared to other candle companies! Buy the Chesapeake Bay Candle: Mind & Body Collection here. Zoganic is a vitamin supplement perfect for helping you stay healthy and active during the cold-weather months (or anytime of year, really). It’s benefits are many! It helps to maintain low blood pressure and heart rate, and helps promotes healthy eyesight and immune system! It’s organic, gluten-free and vegan, as well. You can use Zoganic in many ways, including adding it to a smoothie or water. I added mine to water and enjoyed the light taste. They also have a variety of flavors to choose from on their website! 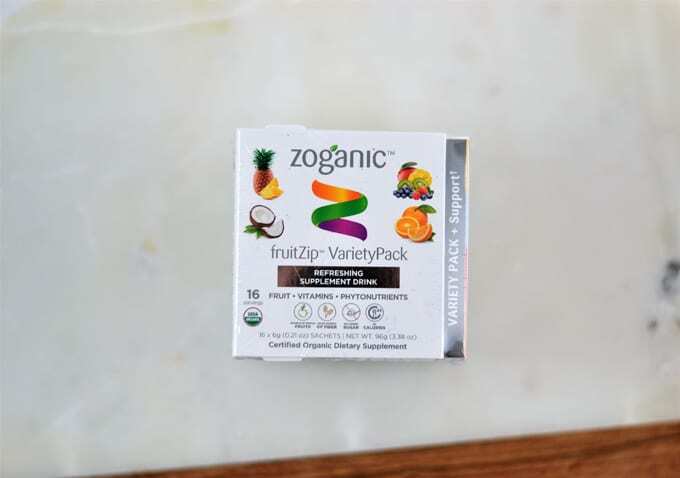 Buy Zoganic here (and watch a video on how to get your kids to eat healthy)! While I don’t usually read romance novels, Links, by Lisa Becker, is an exception to that rule. It’s about two high school classmates that have a chance encounter after 15 years. The characters are relatable and likeable, definitely people I’d want to be friends with in real life. Books are always one of my favorite cold weather comforts, and this is a great purchase for your romance novel-loving friend (or for yourself)! 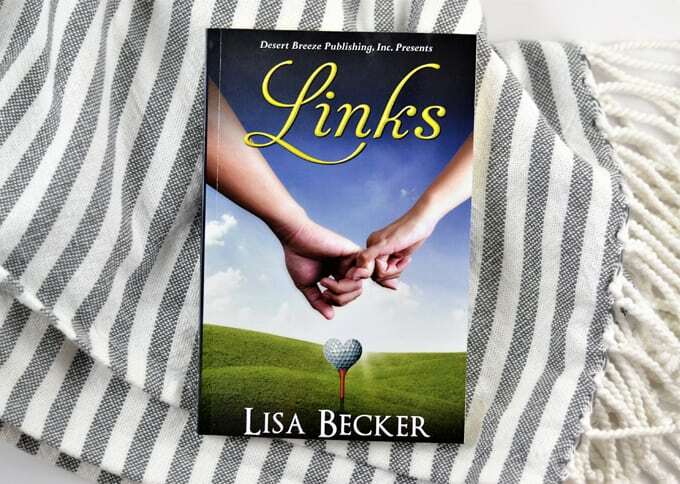 Buy Links by Lisa Becker here. When the weather gets colder, it’s almost a guarantee that I will get a cold. Stuffy Nose Strips are here to help! They help improve breathing and give you drug-free relief of nasal congestion due to allergies, cold and flu. I also love that they open airways by 61% vs 30% for traditional nasal strips (that go over the nose). I’m definitely stocking up on these for the cold weather months. If you’re with me, you can use code XECX9243 for 25% off! 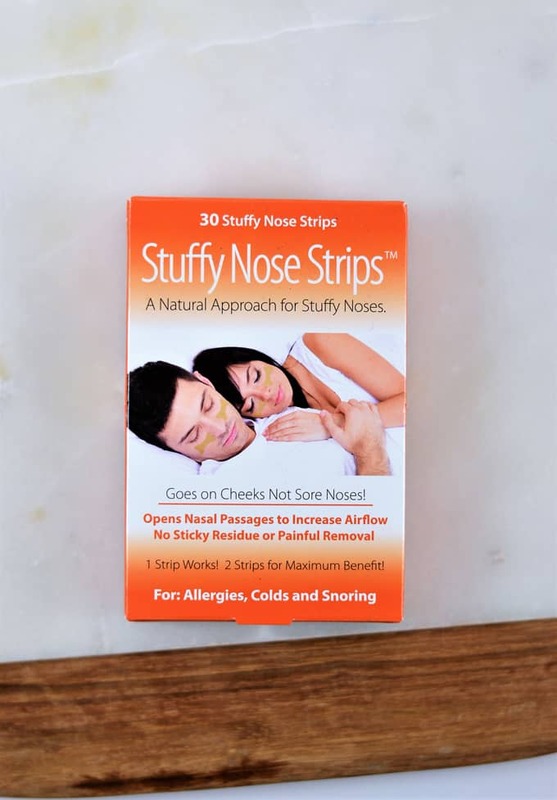 Buy Stuffy Nose Strips here. Tea is near the top of my list for cold weather comforts, and I love this Tea Forte collection of special holiday teas. It’s perfect for a holiday gift, but be sure to snag one for yourself, as well! I love sipping a cup of tea while reading a novel or watching a favorite movie. It’s a healthy way to enjoy a treat in the colder months! It was hard to choose, but the Winter Chai tea was my favorite from this collection-I love all things chai, and this tea is like comfort in a cup! Get 20% off any Tea Forte order! Use code WJ20, valid through 12/31/17. 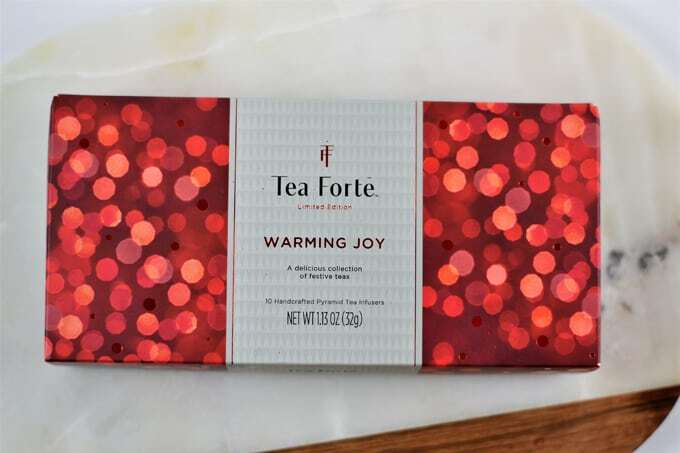 Buy Tea Forte – Warming Joy Collection here. 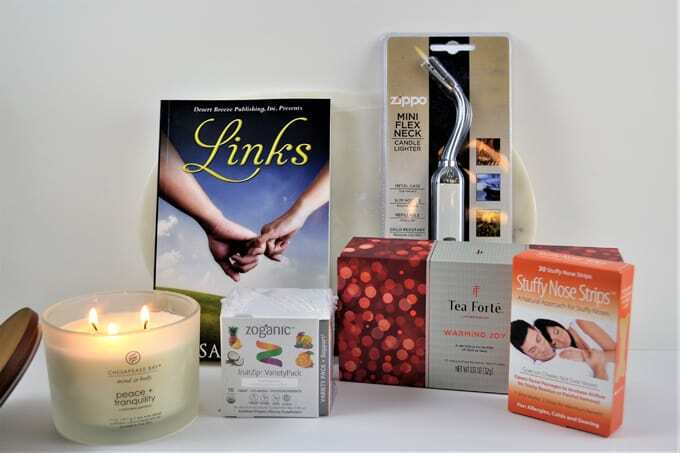 Thanks for reading all about my favorite cold weather comforts!